You are not vain if you take care of your appearance. You are not vain if you are self-conscious about how you look to the world and you spend time on presenting your best. Just do not get caught in the trap of thinking you are the reason this earth revolves. If you should imagine that the sun shines out of your backside, please reassess yourself. That would be vanity. When you follow the thinking that you are in some way superior to another person because of how you look, you are misguided. Vanity is not an attractive quality. It negatively affects the nature of a person, you lose your sense of self when you become vain. People who buy into their own hype in life, are vain. I do not understand how anyone can buy into their own hype. How can you fall for your own tricks? 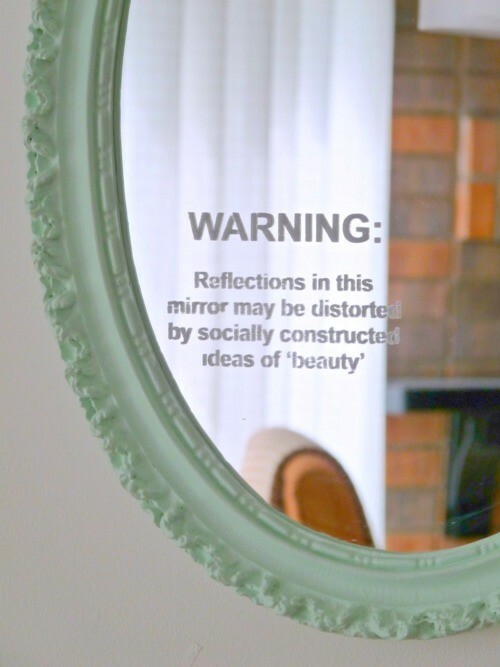 These society people who are in love with themselves are falling for the oldest trick in the book. When you are mesmerised by your own reflection in this world, you are closed to possibility. Worshipping yourself is not advisable if you have any plans of going anywhere worthwhile or having a lasting impact on this planet. People tire easily of those who love to blow their own trumpets. The noise they make destroys the peace of transformation going on all around us. When you are stuck staring at how great you are you forget that you are here to serve humanity. The planet needs more people who are prepared to put down their mirrors and see for real. It is easy to check where you are in life with vanity – you need to ask yourself why you are loved. That is always a very interesting question to ask of yourself, and of the people who love you. It is not always easy to spell out the reasons one has love for another, but it is worth checking with a partner why they think they ‘love’ you. When you hear why, you will understand how your partner sees Love. You should always consider important how your partner views Love. It may not be the same way you look at it. Love should be able to speak clearly for itself. If someone loves you and they are too shy to tell you why, that is sweet. Perhaps treasure that innocence. If a person can show you why they love you, even better. Showing is usually far better than telling. Hi C.J.–did you get this email I sent the other day? I am going to post your “Vanity” write-up for this Sunday, on the faith that it’s okay with you. If you write back and say “no” or whatever, I will merely delete the post. But I guarantee it’ll be fine. Thanks so much again for your hard work. This is the second time I’ve asked if I might use a blog post of yours on my own website. The first one I’ve forgotten the name of and don’t feel like looking right now, but this one here on Vanity, #65, I’d like to also post. I just love it. Will you allow me to do that again? Last time, you said to cite your site (sounds funny, I know) and you as author, which I would *never* *not* do. So is it okay with you? I’ve kept a copy of this one from almost a month ago because I wanted to read it from time to time; then just the other day thought others might like to, as well. Hi Lynelle – course you can use it. No problem. Thanks for reading!